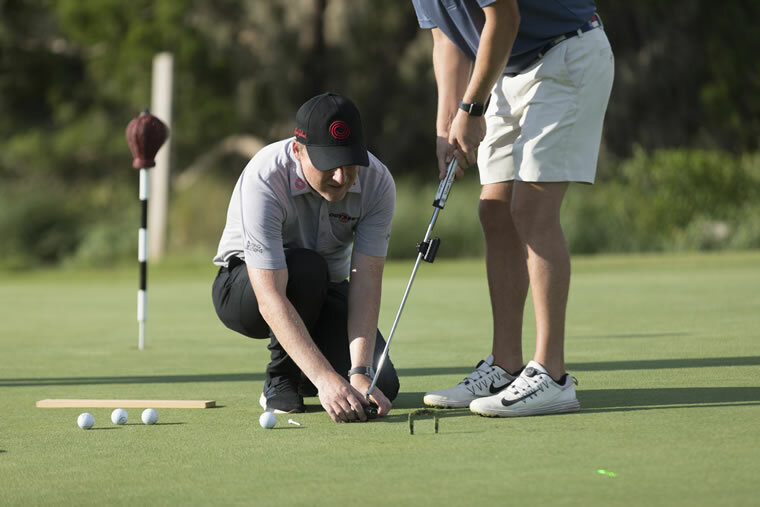 Phil Kenyon, Sea Island’s director of putting instruction, shares tips for improving your short game and making the most of the new offerings at the Golf Performance Center. 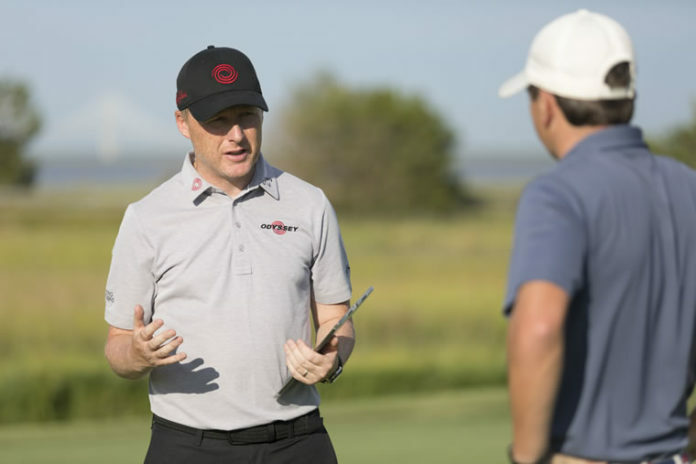 Named Sea Island’s director of putting instruction in May 2018, Phil Kenyon is one of the world’s preeminent putting experts, and his client list includes many well-known professional golfers. Having worked with the likes of Justin Rose, Tommy Fleetwood, Francesco Molinari and Henrik Stenson, it’s no surprise that he’s considered one of the best. Kenyon was a pivotal part of the opening of Sea Island’s new Golf Performance Center, where he helped craft a state-of-the-art putting studio. With the GPC’s opening in March and a busy travel schedule throughout the year, Kenyon is in high demand. On the heels of being honored with the John Jacobs Award for Teaching & Coaching from the PGAs of Europe, he took a moment away from his duties to shed some light on the studio and reveal how he continues to find success as a putting coach. Sea Island Life: What can students look forward to in regard to the putting studio at the new Golf Performance Center? Phil Kenyon:The aim is to re-create the conditions that players will confront outside, but we’ve got it all indoors. We have a moveable green, called the Zen Green Stage system, so players can hit all types of putts—it moves side to side, up and down, and it moves up to 6 percent in direction to offer multiple types of breaking putts. We have a full camera system, so we can record a player at high-speed and multiple angles. There [is] also the Quintic Ball Roll system, which measures the ball, so we can look at launch angle, spin and distance of pure roll. And then there is the PuttView system, which projects the trajectory of the putt, along with various other animations on the green. Whichever slope we move the green to, you can basically project how that break would look onto the green. It’s a great visual tool to help people with green-reading. SIL: From global stars to nascent players, you have achieved results with all levels of golfers. Why do you think this is? PK:My philosophy is that we’re all individuals, with our own patterns of coordination. It’s possible to help each person find the most functional and efficient way to play golf. It’s about trying to make the student an improved version of him or herself. SIL: What are most people doing improperly when they come to receive putting instruction? PK: A lot of times, they have poor concepts and approaches, which, of course, do not aid good mechanics. And, as a consequence, you see them struggling to properly start the putt on-line, which is the fundamental for me. If you look at better players, one of the things they almost take for granted is the ability to start the ball on a really good line. And an inability to start a putt on a consistent line makes it difficult to develop other skills, like green-reading and speed control. Putting specialist Phil Kenyon works with golfers of all levels, helping each person find the most functional and efficient way to play. SIL: Do these same students often arrive with the improper tool in tow? PK: Putter fitting is an important, if not integral and invaluable, part of any lesson. If you’ve got the wrong tool, it can impede what you’re trying to develop. I often see players who come in with a putter [that] is the improper length, lie or loft. As a consequence, that affects mechanics. Even the subtleties of the shape, configuration or sight lines of a putter can influence how a player aims, which results in the development of compensations. Very rarely can one just buy something off the shelf and find a perfect match. The putter fitting process—which we offer in the studio, along with a full line of putter choices—is key in finding the proper match. 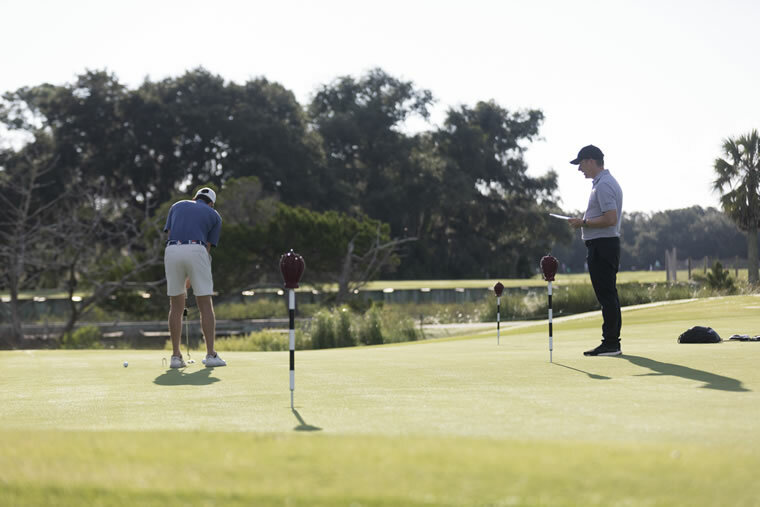 SIL: Why is David Angelotti, senior putting instructor at Sea Island, so pivotal to your team and what is his role at the new putting studio? PK: David is a valuable member of the team not only because of his expertise and knowledge in putting instruction but because of his passion for the game and motivation to learn as an instructor. … David runs the studio on a day-to-day basis. Working closely with me, he delivers lessons to members and guests and deals with all daily operations. David develops various programs from individual to group instruction, and leads the putter fitting programs we are running in the studio in conjunction with Odyssey. SIL: With the new rule allowing for the flagstick to be kept in the hole while playing from the green, what’s your take on keeping the pin in? PK: There are a few different factors to consider, but, on the whole, I think there’s a bias that keeping the flagstick in the hole will actually help. The material of the flagstick will make a difference—for instance, if you’ve got a metal pin or a plastic pin, the rebound effect will be different. I think you’ve got to be a bit careful with metal pins, which may rebound the ball. Other factors to consider are … how centered a pin is, if the flagstick is being buffeted by the wind and if the cup is in a slightly angled position on the green.